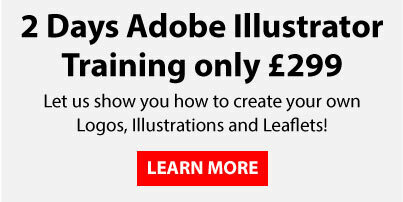 In Adobe Illustrator there is a very handy and under used button that enables you to quickly and easily recolour any artwork using the colour groups in your swatches panel. The key to using the recolour Artwork tool is to organise your swatches in to groups, the tool only works with solid swatches in Adobe Illustrator and will not work with gradient swatches or pattern swatches. First of all Im going to create some simple Illustrator artwork, I have used the circle tool and the alignment buttons in Adobe Illustrators control bar to create this simple pattern using circles. 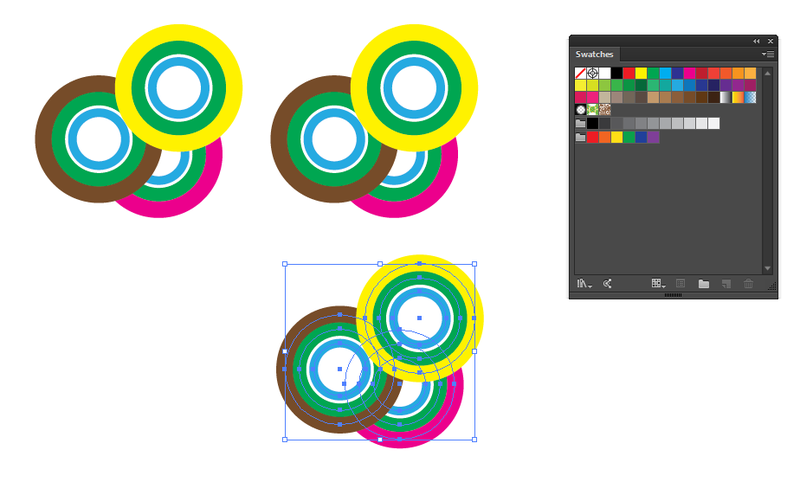 I have grouped these circles together however this is not important for Adobe Illustrators Recolour Artwork Tool to work. Next Im going to hold down the ‘ALT’ key and drag the group with the Adobe Illustrators direct selection tool, everytime I drag holding the ‘ALT’ key it will create a duplicate of my Adobe Illustrators artwork. This is the important part, I need to organise my Swatches panel within Adobe Illustrator, the recolour artwork tool only works with colour groups so Im going to add some colours from Adobe Illustrators Swatch librarys (bottom left corner of the swatches panel) and organise them in to groups by selecting them and clicking the ‘Group’ icon at the bottom of Adobe Illustrators Swatches panel. 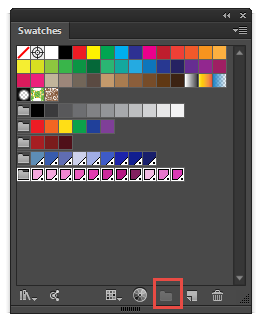 The more colour groups I have available in my swatches panel the more options I have for recolouring my artwork. 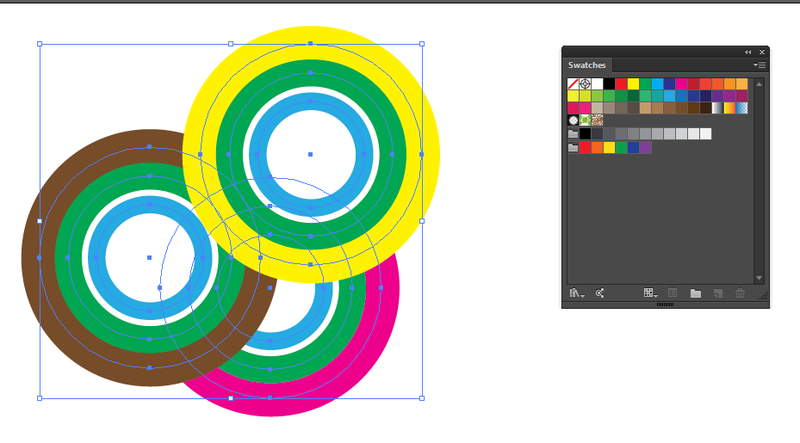 I am now going to select one of the set of circles on my Adobe Illustrator Artboard, then Im going to click the ‘Recolour Artwork’ wheel, which can be found either in my control bar at the top of the screen or at the bottom of the Adobe Illustrator Swatches panel. 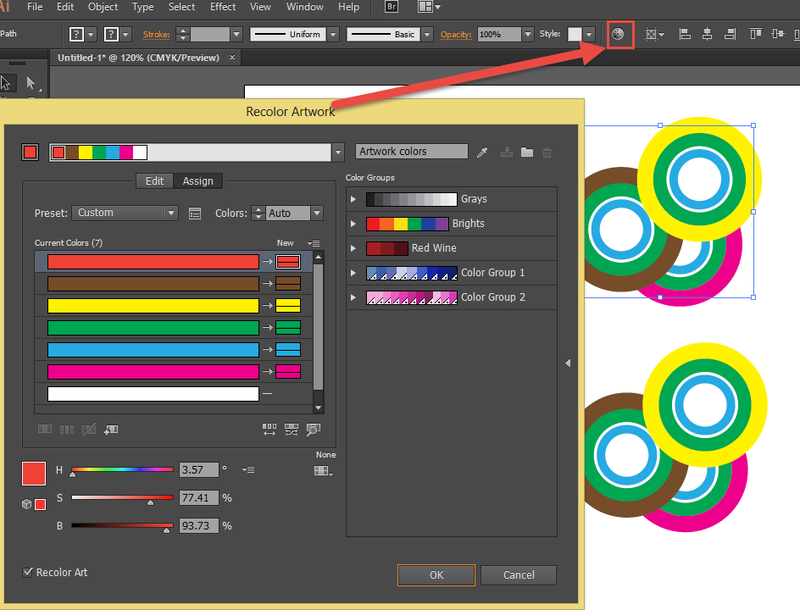 When Adobe Illustrators Recolour Artwork panel opens you will see your colour groups on the right hand side, by clicking on one of these colour groups the colour of all the circles will change using a variety of colours from that particular group. 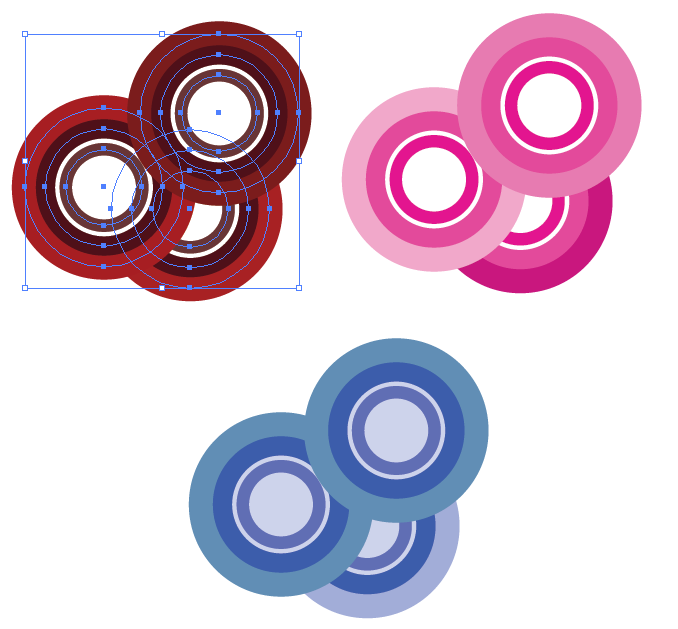 You can then repeat the process with the other groups of circles on the Adobe Illustrator Arboard to quickly and easily get a number of colour variations of your artwork.